October 17, 2016 – With $2.5 million in gifts, Colorado’s Gallogly family is naming the Discovery Learning Center at the University of Colorado Boulder, as well as boosting the teaching and research power of the College of Engineering and Applied Science with two new faculty positions. James L. “Jim” Gallogly, his wife, Janet, and family are committing the lead gift to establish the Robert H. Davis Endowed Chair in Discovery Learning, a new position named in honor of the engineering college’s outgoing dean. The college’s Engineering Advisory Council, of which Jim Gallogly is an emeritus member, aims to raise an additional $500,000 in private support toward a $500,000 matching challenge. Taken together, these efforts will raise the visibility and heighten the impact of the endowed chair. Additionally, a $1 million gift from the Gallogly family establishes an endowed professorship in the chemical and biological engineering department. Endowed chairs and professorships help attract and retain brilliant scholars by providing them dedicated resources for innovative research and teaching opportunities. High-caliber researchers attract the brightest graduate and undergraduate students and spur transformational advancements in society. Both endowments provide funding in perpetuity. The Gallogly Discovery Learning Center, named in honor of these gifts, is located at the corner of Colorado Avenue and Regent Drive and offers undergraduates opportunities for interdisciplinary research and K-12 educational programming. 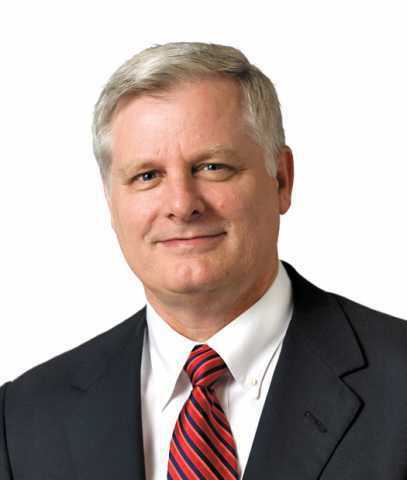 Jim Gallogly, a 1974 graduate of the University of Colorado Colorado Springs (UCCS), is the retired chief executive of LyondellBasell in Houston, a large polymers, petrochemicals and refining company. He previously held executive positions with ConocoPhillips, ChevronPhillips and Phillips Petroleum. The Galloglys have three daughters, Kelly, Kasey and Kimberly. Kasey (Gallogly) DeLuke is a 2003 graduate of CU Boulder. The family’s legacy at CU began with Jim Gallogly’s late father who after a military career earned two degrees from UCCS in the early 1970s. Since then, more than a dozen members of the extended Gallogly family have earned degrees from CU’s campuses, and they remain among the university’s most generous supporters. This week Jim and Janet Gallogly also committed $2.8 million in gifts to UCCS. Jim Gallogly’s eight years of service on the Engineering Advisory Council covered a period of significant growth for the college. During Davis’ tenure as dean, annual research grants in the engineering college more than doubled, graduate and undergraduate enrollments increased by 74 percent, and the percentages of first-year women and underrepresented students more than doubled and tripled, respectively. In January, Davis will return to the college’s chemical and biological engineering faculty, and Robert D. Braun, who recently moved from the Georgia Institute of Technology, will officially take the reins as the new dean.